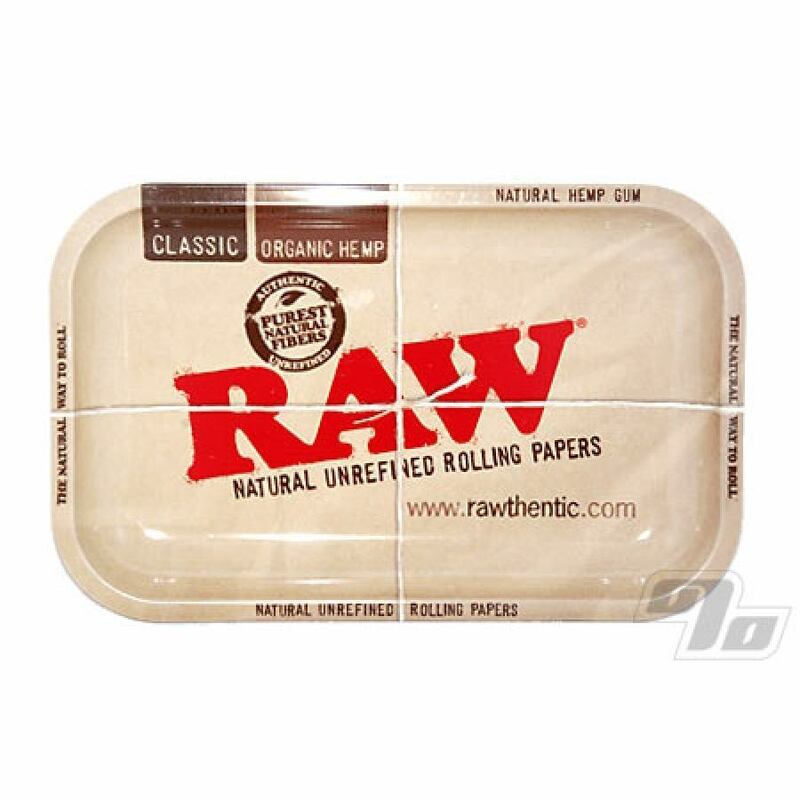 Smaller edition of the coolest metal rolling tray from RAW. Small metal rolling tray with curved edges to hold all your tobacco and let you roll some smokes up without spillage. A comfortable 10.75 inches long x 7 inches wide. Big enough for your lap and still easy to store and transport. helpful for RYO and packing various other tobacco bowls and devices. This is my third tray, I keep one at my 'head'quarters and another packed in a travel bag, ready to go. Solid and light. Recommend going with the next larger RAW tray available. Always loved RAW trays and this is no exception. Durable and lightweight, can't go wrong!